2018 is coming to an end, and it’s been a great year for all of us here. 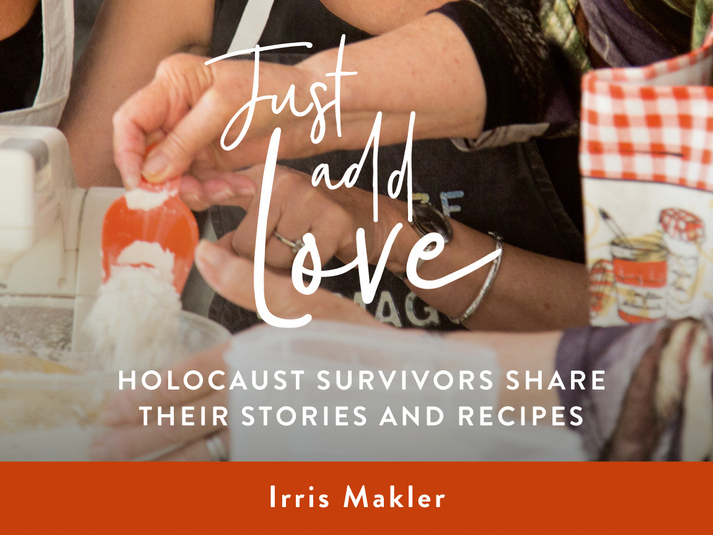 We launched a Kickstarter campaign to fund the printing of our book, Just Add Love, Holocaust Survivors Share their Stories and Recipes. We reached our funding goal and then exceeded it. We completed the final edit and proofreading (a huge thanks to the irreplacable Amanda Hampel!!!) and sent the manuscript to the printers. So thanks to all our backers and to all those who have supported this project this year and in preceding years too. You’ve made this book possible! If you would like to pre-order the book, or if you meant to during the Kickstarter campaign and didn’t manage it, or if you have ordered, but you’d like to add more, don’t worry! You have one more chance. BackerKit to the rescue… it’s a website that helps crowdfunding projects to do the important admin, like organising backers addresses and fixing up their orders. And taking new orders too. So go to our page on Backer Kit to order your copies, for delivery in April 2019. 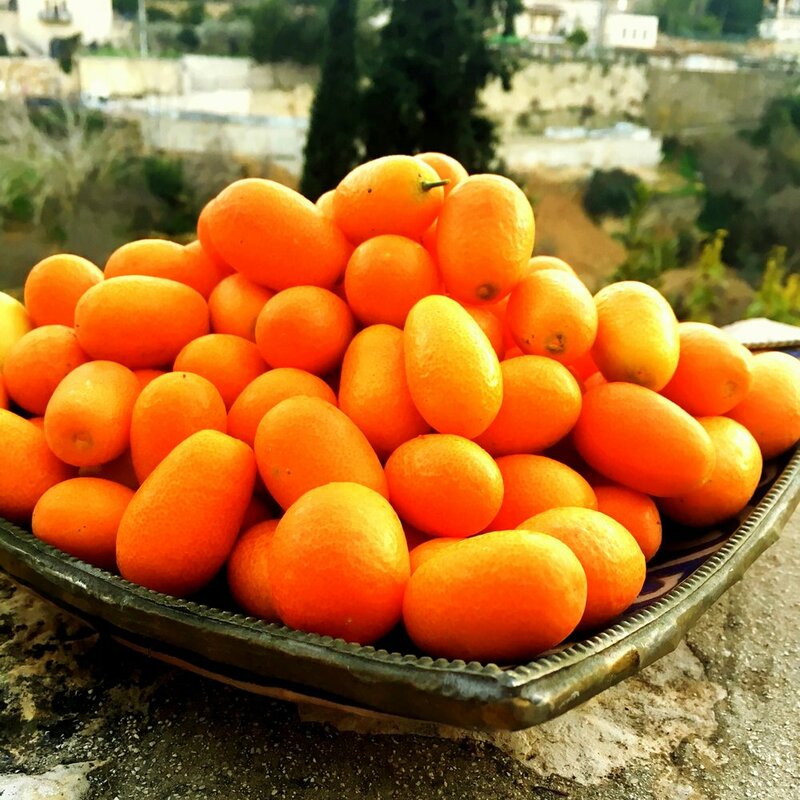 Christmas in Jerusalem this year has been about 3 things - making marmalade (recipe below), new baby donkeys, and old/new Christmas bells. 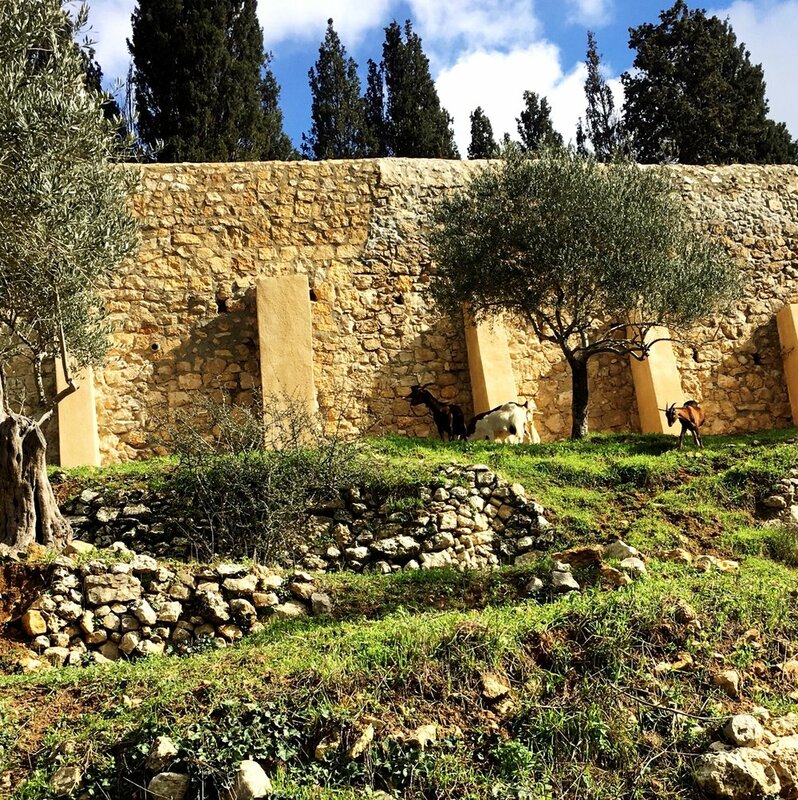 It’s been as warm as spring this autumn, beautiful sunny days, made more beautiful by 2 shy baby donkeys, who’ve joined the flock that lives nearby, in the valley along from my house in Ein Kerem. Well, they’ve joined the goats. They don’t know they belong with the big donkeys yet ... And the goat dogs are in charge of everyone! Unbelievably cute and a real Christmas gift. I emerged from that long period of crowdfunding and proofreading to find that 2 months had passed! It was no longer October and Christmas stories had to be done. A friend pointed me in the direction of a wonderful Christmas tale, of the ‘only in Jerusalem’ type. The only carillon bells in the Middle East are at Jerusalem’s grand YMCA. Built as a “sermon in stone”, the building and the institution were dedicated to creating a quiet place of peace and cooperation amongst all the warring people who live here. This year, after more than 8 decades, the YMCA finally has its missing bell back, just in time for Christmas. And who plays the Christmas tunes on the oversized wooden keyboard that controls the bells? A Jewish psychoanalyst. Of course. Since Professor Gaby Shefler did such a lovely interview, I am also attaching a link to one of the radio stories. It’s a joy to hear him and the other people at the Jerusalem Y, talking about this oasis of peace and harmony in Jerusalem. I’m breaking with tradition and including a non-grandmother recipe. It’s because this year, for the first time, I felt like I was part of a Christmas carol. You know the one. There were also those little thin-skinned lemons, the ones that I’ve only ever seen in the Middle East. So when life gives you lemons, make marmalade! I was also warned I had to use them up quickly and I found that they were not very juicy; so for lots of reasons, marmalade was the answer. But next time, I think I will also try Helen Goh’s Cumquat cake. The only problem was I’d never made marmalade before. When in doubt, turn to David Lebovitz, the star baker and cookbook writer, living out the American in Paris dream, and writing the most beautiful blog to chronicle that life. Plus this time, there was also a little help from Chef John at All Recipes. David Lebovitz’s orginal recipe is here. He instructs you to wait a day between boiling up the fruit, and then adding the sugar and spices and cooking it. This produced a fantastic result - also because I didn’t let it burn, hangs head in shame, see note below – but since I had to deal with the lack of juice issue, and because Chef John’s recipe was simpler and quicker, I have melded the two. Plus of course, as always, I’ve reduced the sugar. 1. Slicing and de-seeding the cumquats is definitely the job that will take you the longest and it does take a bit of patience. Using a small serrated knife, slice off the stem end, then slice the cumquats crosswise, trying to catch any juice as you go. When you reach the centre, stick the tip of your knife in to remove the seeds, and slip them into a small bowl. Any that you miss you can usually find just by scanning your bowl of cumquat slices, or later, once the fruit is in the pot. 2. Slice and de-seed the lemon slices and put them in the pot you intend to use for the marmalade. A large non-reactive pot is best. Cover with cold water and bring to a boil. Reduce the heat and simmer until the lemons are translucent, about 5 minutes. Drain and discard the water. Put the blanched lemons back in the pot. 3. Tie the seeds from the lemons and kumquats securely in a piece of cheesecloth, or a nutmilk bag. Boiling these up with the fruit will release extra pectin and will allow you to use less sugar. 4. If you have time to wait the 24 hours, add the seed bag to the pot along with the blanched lemons and the sliced kumquats. Add water. Bring to a boil; cook for 10 minutes, remove from heat, cover, and let stand 24 hours. 5. If you don’t have an extra day, the time saving adaptation is to add everything to the pot – fruit, water, juice, sugar and spices – and mix together. Cover and let sit at room temperature 2 or 3 hours to allow the fruit to macerate. This is especially good if your cumquats are a little on the dry side. As you stir, you will see any pips you’ve missed rise to the top. Remove them and add to your seed bag. 6. When you are ready to cook, if you boiled first, add the sugar, juice and pinch of salt to the pot, along with the spicess. If you didn’t boil first, add the bag of seeds and cook the marmalade for 30 to 45 minutes over medium heat. Remove the bag of seeds after 15 minutes or so and when it’s cool enough to handle, squeeze the seeds, still in the cheesecloth, using your hands or he back of a spoon. Do this over the pot to capture any extra pectin from the seeds. 7. Adjust the temperature as necessary to maintain a rapid bubble, depending on the juiciness of your fruit. Continue cooking until it has reached the jelling point, about 220ºF (104ºC) degrees, if using a thermometer. If you don’t have one, David Lebovitz advises this simple test. Turn off the heat and put a small amount on a plate that has been chilled in the freezer and briefly return it to the freezer. Check it in a few minutes; it should be slightly jelled and will wrinkle a bit when you slide your finger through it. If not, continue to cook the fruit mix for a further 10 minutes or so, until it wrinkles slightly on the chilled plate when you test it. 8. Be careful not to overcook, as the marmalade will continue to thicken as it cools. Turn it off while it still looks a little runny. Remove from heat, stir in the alcohol, if using, and put the mixture into clean jars. Store in a cool place, like the refrigerator, if you are not planning to use within a few weeks. Simply fabulous. Spicy warm taste, not too sweet, not too bitter. Divine. A word of warning. I made 2 batches and didn't watch the second as closely - already smug! - as the first. It started to burn and was less liquid, and not as jammy. Still pretty amazing, but it’s a life lesson – pay attention to delicate cooking tasks. The first batch was so delicious you could eat it from the jar with a spoon! The second needed the addition of cottage or ricotta cheese, and walnut and sour cherry bread, or raw tahina and mixed-grain sour dough bread and then it was pretty blissful too. I’m including this recipe for my friend Lisa Goldman, a stellar cook and baker who always pines for British fruit cake at this time of year. I remember taking this recipe from Mrs Grant – or Ma Grant, as she called herself – a woman in her seventies whom we met in South Australia, where the desert road kisses the sea. This was many years before the 'Just Add Love' recipe collection project, but I must have really liked Ma Grant, because I don't much like that British style fruit cake, in the contest with Christmas pudding, pudding always win for me. Yet I still took her recipe. And I still have it, in her handwriting. Wishing all of you a wonderful year, full of health, happiness, adventures and achievements. We are looking forward to great year for us and for the grandmothers in this project, since our upcoming book, Just Add Love, Holocaust Survivors share their Stories and Recipes will finally be published :-) Roll on 2019!